Gibson Performance headers are the perfect solution to your vehicle. Made from top quality components right here, Gibson Headers feature thicker flanges and are dyno tested for maximum performance gains. Gibson Performance Headers are "bolt on" and do not require any welding. All oxygen sensor and / or egr ports are integrated right into your new Gibson Headers. 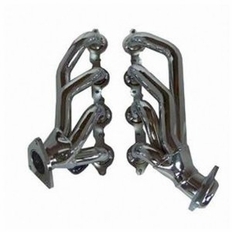 Available in chrome plated, stainless steel, or ceramic coated, not only does Gibson Performance have the headers you want for your vehicle, but also in the finish you want.